In a country whose cuisine is world-renowned, it should come as no surprise that Peruvian Christmas cuisine is equally noteworthy. From spice-rubbed meat to standard Christmas sides with a Peruvian twist, families across Peru look forward to their Christmas meals at midnight. In this blog post, we “dig in” to the quintessential Peruvian Christmas dishes you’ll find on Christmas dinner tables from Lima to Cusco and everywhere in between. Anchoring the Christmas dinner feast is usually a roast meat of pork, turkey, or, less traditionally, chicken. Whichever meat is selected, it’s usually prepared with a Peruvian-style spice and herb rub before being thrown into the oven for hours of roasting. The spice typically includes some combination of cumin, soy sauce, vinegar, garlic, paprika, ground black pepper, smoked paprika, and oregano. 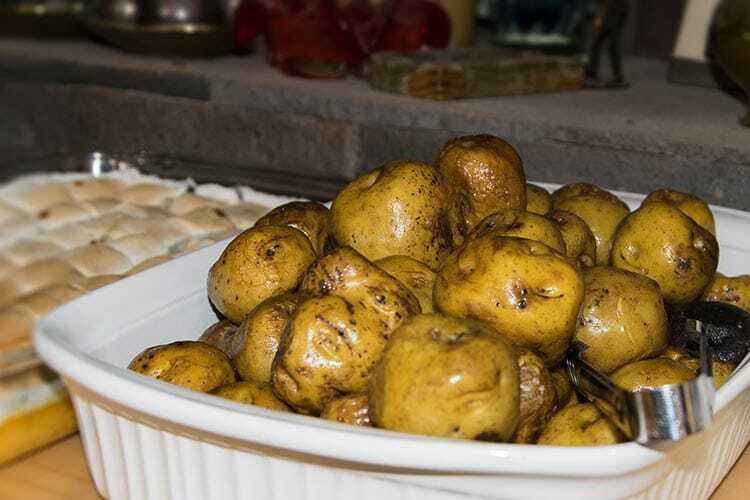 From sweet potatoes to regular potatoes and yucca, the tuber family is definitely present at Christmas dinner in Peru. The potatoes may be served as a mashed puree, prepared in a towering causa, or simply boiled, sliced, and covered in a cheesy huancaina sauce, while the sweet potatoes are often served blended with yucca in a casserole topped with marshmallow. Yum! 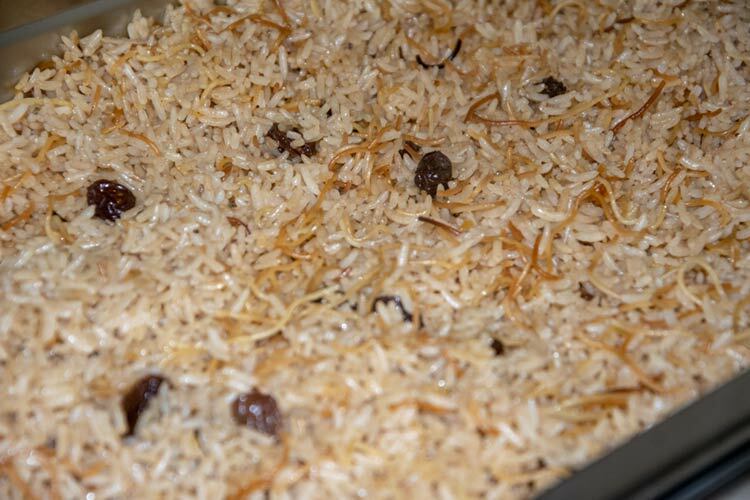 Rice is a Peruvian mealtime staple, even at Christmastime, and it’s hardly ever served without an addition or two. 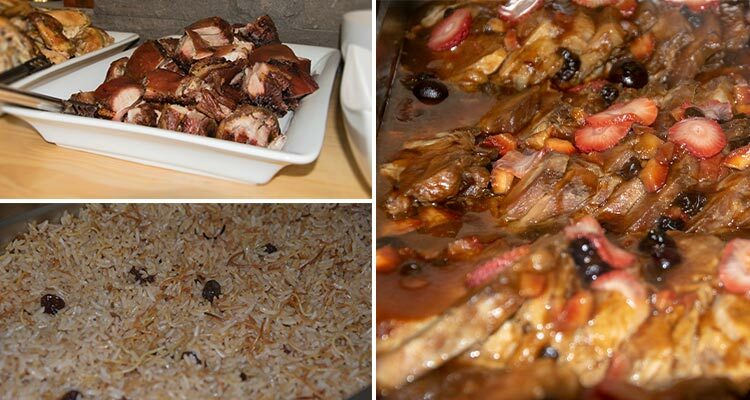 From the Asian-influenced chaufa variety to a version made with bacon, almonds, apricots, and a balsamic vinegar sauce, the rice dish is often the first to go empty at the Peruvian Christmas dinner table. 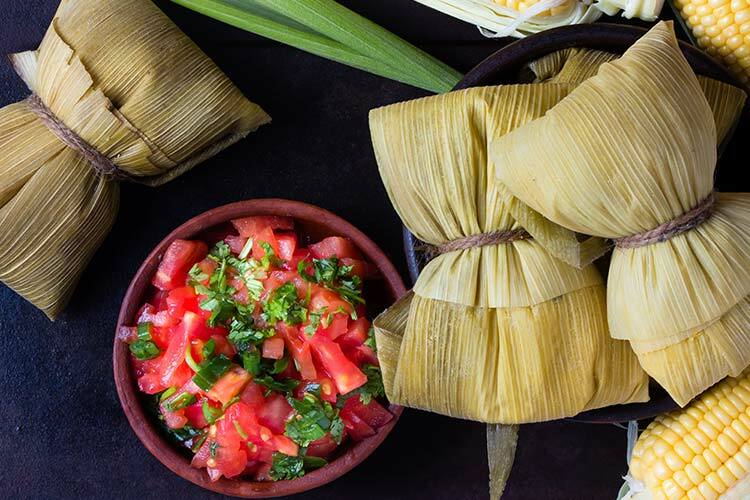 Tamales are a family favorite in Peru and no Christmas meal would be complete without them on the table. One needs corn leaves, white corn, and your choice of sweet and savory fillings ranging from pork to beef. Preparing the Christmas dinner tamales is often a family affair, with everyone pitching in to grind the corn, prepare the filling, and soften the banana leaves for wrapping. When the tamales are ready, they’re served alongside an onion salad, known as salsa criolla. We’ve arrived at the dessert section of this quintessential Peruvian Christmas dishes list. Panetón is synonymous with Christmas in Peru. Come December, the stores are stocked with these fruit cake-like sweet breads. 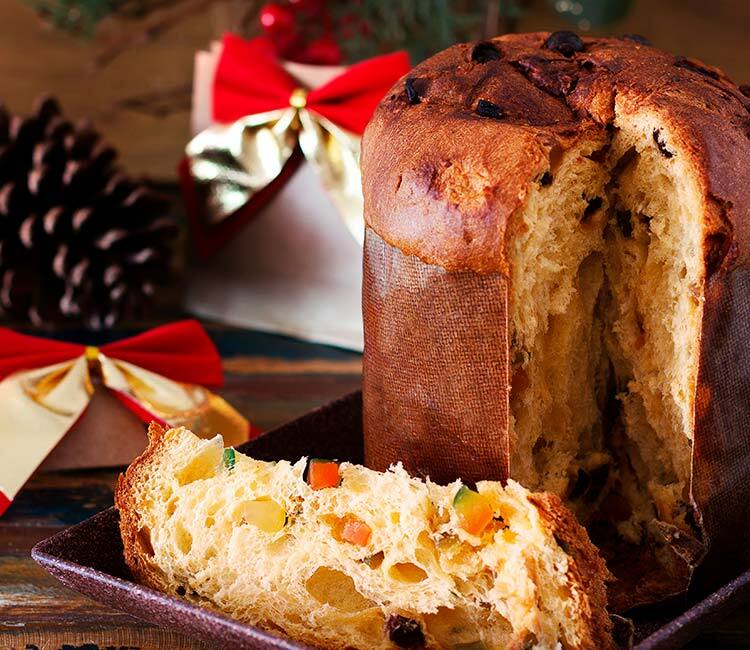 After Christmas dinner, the panetón loaf is passed around alongside a steaming cup of hot chocolate. Craving a trip to Peru? 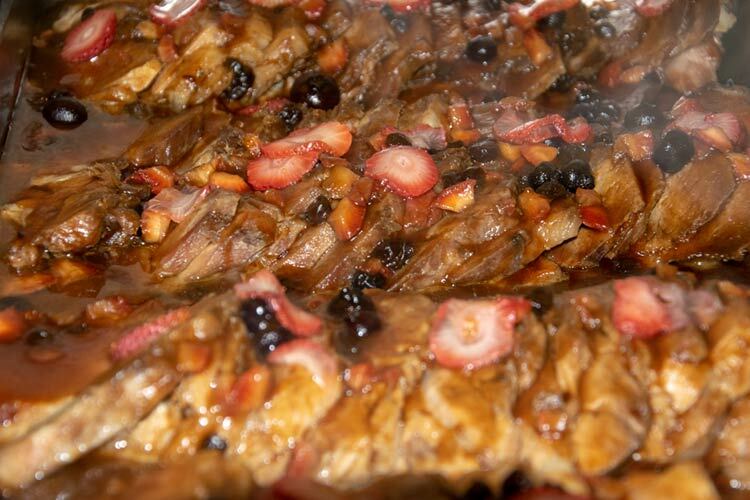 Just reading this list of Peruvian Christmas food favorites has our mouths watering for midnight on La Noche Buena (Christmas Eve). How about you? If you’re considering a vacation in Peru at Christmastime, or any other time of the year, get in touch with one of our Kuoda Travel Designers today to get the planning process started!